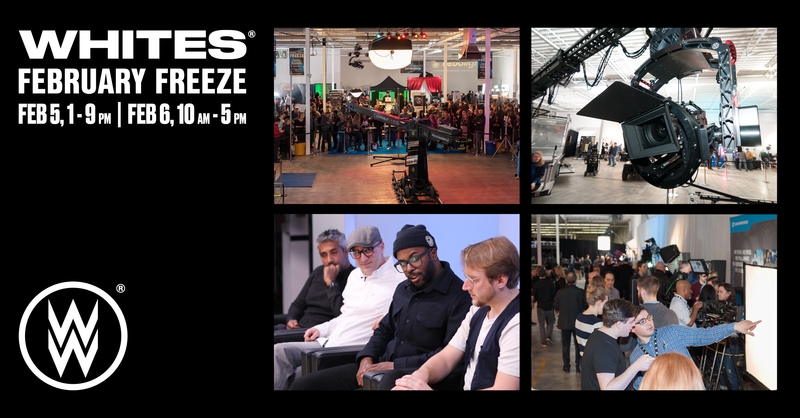 February Freeze 2019 | Feb 5th, 1pm-9pm | Feb 6th, 10am-5pm | William F. White International Inc.
February Freeze is an annual tradeshow well-known as the Cine Gear or NAB of the north. For 17 years, we’ve been opening our doors to provide an exclusive opportunity to experience firsthand the industry’s leading technological advancements from over 50 established vendors and product manufacturers. We strive to put on an entertaining show with informative panels and seminars with a sharp focus on technology, education and the creative process. Past panels have included discussions on genre film, creativity from the DP’s perspective and how to professionally develop as an independent filmmaker. Originally a single day event, we have extended the show’s hours to include an additional day of educational programming and workshops. Arri, Panasonic, Sony and Fujinon have held product presentations showcasing and teaching attendees about their latest equipment offerings. Every year we average between 1,200 - 1,600 attendees. From students, independent filmmakers and established production professionals to creative decision-makers, the Freeze is a prime opportunity to reach key market share in Canada’s entertainment industry. #FebFreeze2019 will be held on Tuesday, February 5th from 1pm-9pm and Wednesday, February 6th from 10am-5pm.